Senate Transportation Appropriations Subcommittee Chairman Susan Collins (R-Maine) quizzed U.S Transportation Secretary Elaine Chao about the contradiction of the Trump Administration’s call for $1 trillion infrastructure package and its budget proposal that recommends dramatic cuts in highway and transit spending at a July 13 hearing. 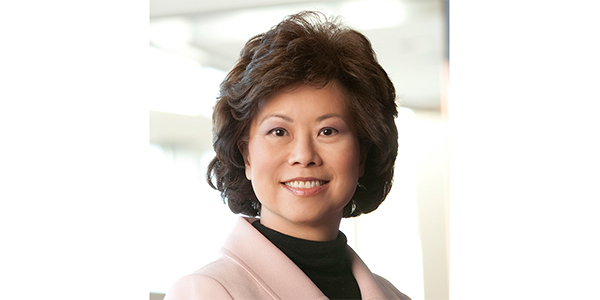 In her response, Chao noted the HTF has to be addressed in the long-term. She cited work that began under the Obama administration to explore the use of vehicle miles traveled fees and emphasized the Administration’s focus on leverage federal funds with private sector capital. Instead of addressing the administration’s proposal to cut HTF spending, Chao shifted to the challenge of funding the $200 billion in the infrastructure package. “We are looking at ways with which to fund the infrastructure proposal, which is why it has taken us quite a while to come up the proposal and the details,” she said. Chao added that she hoped to provide more details in the fall.